KDocs is KPU’s very own Documentary Film Festival, led by learners and educators from all of KPU’s communities. 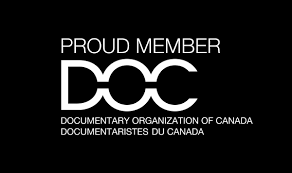 KDocs contributes to KPU’s engagement of various and varied communities, through documentary screenings and community dialogue, in critical thinking and understanding about ourselves, our communities, and our world. Working in partnership with the Vancouver International Film Centre + Vancity Theatre, KDocs showcases award-winning documentary films, keynote speakers, filmmakers, panelists, exhibitors, and community members. Participants engage in lively discussion, debate, and dialogue as they investigate today’s most pressing global issues. "Uniting learners through social justice, global citizenship, and creative solution-building"
KDocs programming is all about engagement, critical thinking, and dialogue—amongst diverse viewers, speakers, and communities. Films are selected based on their ability to provoke, not just superficial reactions, but deeper connections—to ourselves, each other, and our communities. With these connections, KDocs in turn seeks to explore issues of social justice and sustainability, near and far, as we educate the leaders and change-makers of tomorrow. At KDocs, activism originates in the power of the individual, and the influence of the collective. Hopefully, our film choices both give a voice—to filmmakers—and nurture a voice—of creative solution-building. Raheel Raza was our special guest and keynote speaker for the opening film at our inaugural annual documentary film festival in 2015—Honor Diaries. Featured in Honor Diaries, Raheel is the President of The Council for Muslims Facing Tomorrow, the author of the book Their Jihad – Not My Jihad, an award-winning journalist, a public speaker, and an activist for human rights. She is recipient of the Queen Elizabeth II Diamond Jubilee medal for service to Canada. In her pursuit for human rights, Raheel is accredited with the United Nations Human Rights Council in Geneva through Centre for Inquiry (CFI). She has received many awards for her work on women’s equality, including the City of Toronto’s Constance Hamilton award and the Urban Hero award. She is the first Muslim woman in Canada to lead mixed gender prayers. Director Harold Crooks was our special guest and keynote speaker when we launched the KDocs documentary film festival on October 5, 2014. With The Price We Pay, Crooks, best known for The Corporation and, most recently, Surviving Progress, blows the lid off the dirty world of corporate malfeasance with this incendiary documentary about the dark history and dire present-day reality of big-business tax avoidance, which has seen multinationals depriving governments of trillions of dollars in tax revenues by harbouring profits in offshore havens. Crooks’ other documentary film credits include Karsh Is History, Anthrax War, and Pax Americana and the Weaponization of Space. We welcomed special guest Margaret Atwood to our screening of Payback as we closed out our 2012-2013 Documentary Series. Atwood, author of Payback: Debt and the Shadow Side of Wealth, on which the film is based, took part in the sold-out town hall discussion following the screening. 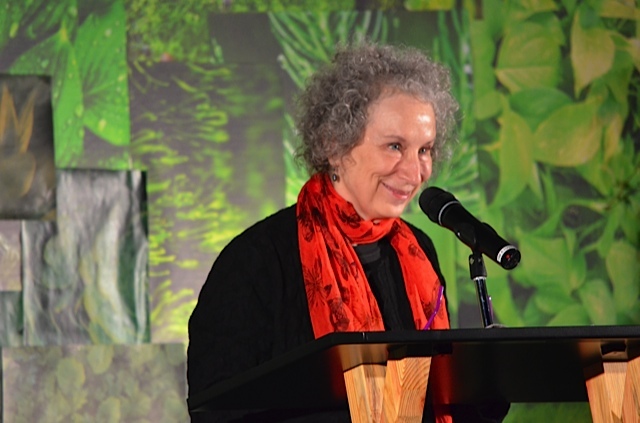 Atwood is the author of more than forty volumes of poetry, children’s literature, fiction, and non-fiction, but is best known for her novels, which include The Edible Woman, The Handmaid’s Tale, The Robber Bride, Alias Grace, and The Blind Assassin, which won the prestigious Booker Prize in 2000. Her latest work is a book of short stories called Stone Mattress: Nine Tales. Her newest novel, MaddAddam, is the final volume in a three-book series that began with the Man-Booker prize-nominated Oryx and Crake and continued with The Year of the Flood. Her most recent volume of poetry, The Door, was published in 2007. Ms. Atwood’s work has been published in more than forty languages, including Farsi, Japanese, Turkish, Finnish, Korean, Icelandic and Estonian.